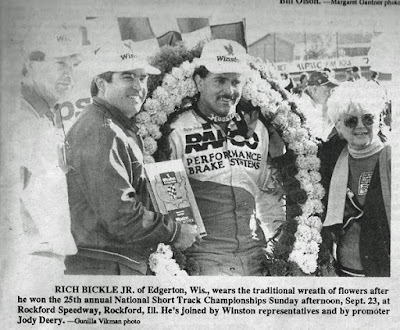 Rockford, Ill. (September 23, 1990) – Rich Bickle Jr. of Edgerton, Wis., captured the 25th annual National Short Track Championships 300-lap feature on Sunday afternoon at Rockford Speedway. 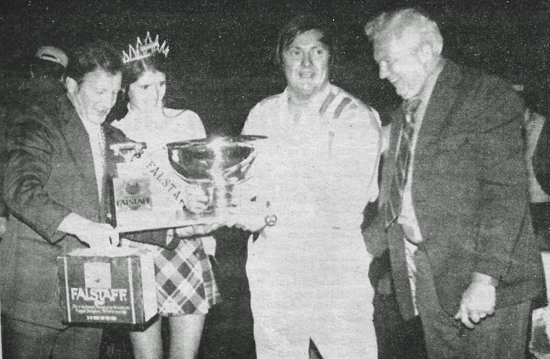 Bickle held off Mike Garvey of Brooks, Ky., by less than a car length in taking the crown. Randy Porter of Greenville, S.C., Bryan Reffner of Wisconsin Rapids, Wis., and Larry Schuler of Minooka, Ill., completed the top five finishers. Indeed, Bickle began coming to this event back in the 1960’s when his father Rich Bickle Sr., competed on a regular basis. The younger Bickle ran his initial National Short Track Championship event in 1979, lasting just five laps before having to park his Ford Granada. Sunday was much different, however, as Bickle motored from deep in the pack to take the lead from Reffner on lap 261 and then hold off Garvey for the win. 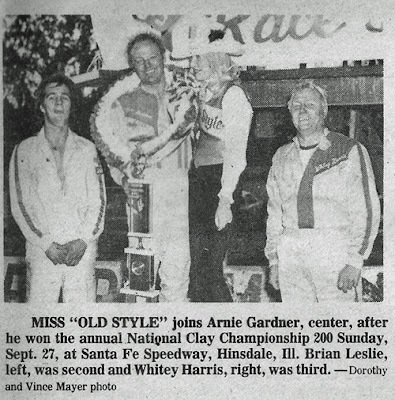 After a poor qualifying run and a mechanical failure in Saturday’s qualifying races, Bickle started the event in the 26th spot on a promoter’s option. Up front, Reffner grabbed the lead from his outside starting position and led the first 83 laps. During that period, the caution flew five times with perhaps the most important coming on lap 106 when Bill Venturini tagged the turn three wall. At that point, Bickle ducked into the pits for his mandatory pit stop. It was a strategy that would ultimately give him the win. 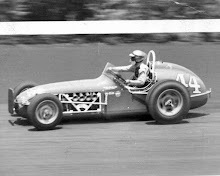 Garvey became the first driver to post a qualifying speed of under 13 seconds in a four-lap average. 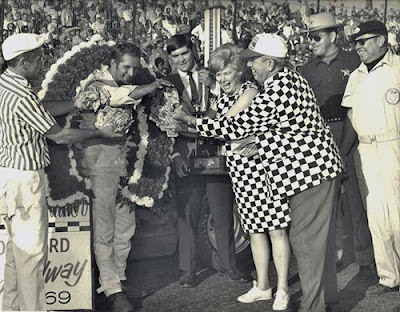 He made his pit stop at lap 227 and came up short of Bickle at the end. 1. 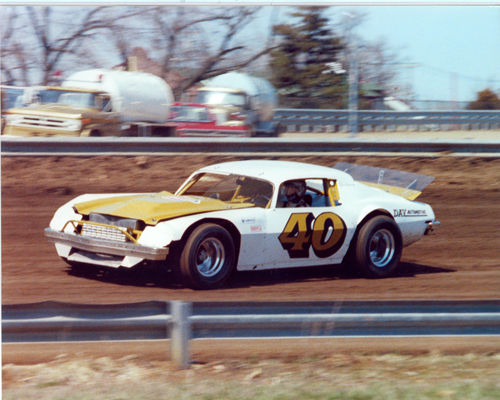 Rich Bickle Jr., Edgerton, Wis.
2. 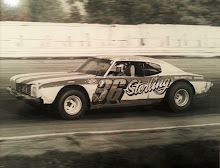 Mike Garvey, Brooks, Ky.
3. Randy Porter, Greenville, S.C.
4. Bryan Reffner, Wisconsin Rapids, Wis.
5. Larry Schuler, Minooka, Ill.
7. 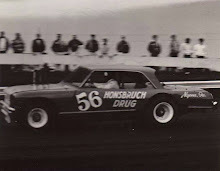 Don Leach, Janesville, Wis.
8. Conrad Morgan, Dousman, Wis.
9. Kregg Hurlburt, Northfield, Minn.
10. Tracy Schuler, Lockport, Ill.
12. Scott Hansen, Green Bay, Wis.
13. Jason Keller, Greenville, S.C.
14. Tom Carlson, La Crosse, Wis.
15. Steve Carlson, West Salem, Wis.
16. Stanley Smith, Chelsea, Ala.
17. Kevin Cywinski, Mosinee, Wis.
18. Jerry Wood, Sun Prairie, Wis.
19. Ron Young, Conyer, Ga.
20. Joe Shear, Clinton, Wis.
21. John Ziegler, Brooklyn, Wis.
22. Bob Brownell, McHenry, Ill.
23. 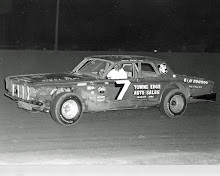 Ted Musgrave, Grand Marsh, Wis.
24. Terry Baldry, Omro, Wis.
25. Steve Holzhausen, Bangor, Wis.
26. Jim Weber, Roseville, Minn.
27. David Green, Goodlettsville, Tenn.
28. 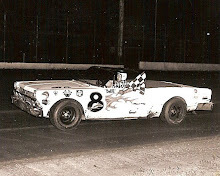 Dennis Lampman, Racine, Wis.
29. Tim Fedewa, Lansing, Mich.
30. Mike Cope, Pinellas Park, Fla.